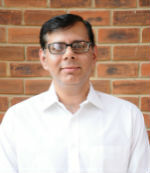 Hanish Rajpal works as an Associate Professor in the area of Finance at IMT Nagpur. His teaching interests include Managerial Accounting, Corporate Finance, Investments, and Taxation. His area of research is Earnings Management. Prof. Rajpal is a member of Institute of Chartered Accountants of India (ICAI). He has done MBA from FMS, Delhi University. He is certified FRM®. He has also completed a P.G. Diploma in Tax Laws from Indian Law Institute. Before IMT Nagpur, Prof. Rajpal worked in the industry for around ten years with companies such as American Express, Genpact, and Whirlpool. Assistant Professor - Finance, Institute of Management Technology, Nagpur since April, 2010.